Hotels, Condominiums, Resort and Cabin. Mt. Rainier Lodging gives you four great choices for your summer vacation when visiting Mount Rainier National Park. From cozy hotels to condominiums to a romantic honeymoon cabin …there’s something for everyone. 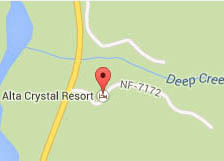 And all have easy access to Crystal Mountain’s famous Mt. Rainier Gondola, and to all of Mt. Rainier National Park. Go up to Sunrise for sunrise. Visit 1000 year old trees in the Ohanapecosh. Hike through wildflower meadows around Tipsoo Lake on Chinook Pass. Or take a drive over to Paradise. Make your vacation plans and join us for a day, a week or longer. Our Mount Rainier Lodging partners offer all sorts of summer specials and packages, and our low summer rates and packages will leave money in your pocket for Mt. Rainier Gondola scenic rides, horseback riding, mountain biking, or a gourmet meal at the Summit House or Alpine Inn Restaurant. Alta Crystal Resort is tucked in the woods, just outside the Sunrise entrance to Mt. Rainier National Park. It is the only lodging around Mt. Rainier with both a heated pool and hot tub, plus summer evening activities like bonfires, barbecues and more. Charming chalet suites and a romantic honeymoon cabin all have fireplaces, kitchens, WiFi and satellite television. Play ping pong or foosball in the 1920’s recreation lodge, or badminton & horseshoes in the recreation field. There are now a limited number of dog friendly suites (advance reservations required). Open year-round. 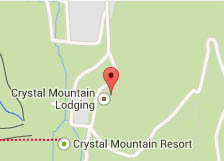 Crystal Mountain Hotels offers rooms in three distinct hotels. Choose from the Bavarian-style Alpine Inn, or lodging in the contemporary Quicksilver Lodge and Village Inn. 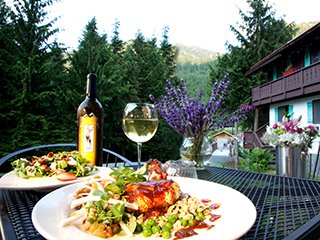 Dine at the on-site Alpine Inn restaurant, featuring casual lunches and gourmet dinners. Have a microbrew at the world-famous Snorting Elk Cellar. 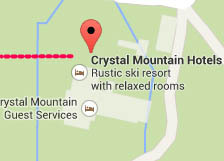 All accommodations are tucked against the slopes of Crystal Mountain, within easy walking distance of the Mt. Rainier Gondola. Pet-friendly rooms are available in the Village Inn (advance reservations required). Silver Skis Chalet offers rentals of 60 mountainside condominiums, each as unique as the families who own them. Enjoy the private outdoors heated pool and outdoors gas BBQ grills, while soaking in the mountain air. All condominiums come equipped with kitchens and living rooms and some sleep up to 8 guests. 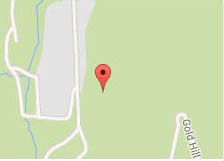 Silver Skis Chalet is located within easy walking distance of the Mt. Rainier Gondola. On a hill overlooking Crystal Mountain Ski Resort you’ll find Crystal Chalets, your home away from home. Condos are fully furnished with kitchens, bedding, high speed internet & cable TV. You’ll have more fun and a memorable stay…and we’re open year round.